Once upon a time there was a de­vel­op­ment stu­dio called Bullfrog Productions. Veterans of the PC gam­ing world will like­ly re­mem­ber them with a mix­ture of fan­tas­tic mem­o­ries spent pour­ing hours into their cre­ations com­bined with a bit of stale anger at the fate of the stu­dio. For those who haven’t heard of them, you are play­ing games in­flu­enced by their works to this day still. Founded in 1987 by Peter Molyneux and Les Edgar, Bullfrog Productions was a promi­nent de­vel­op­ment stu­dio that pro­duced hit clas­sic se­ries such as Populous, Magic Carpet, Theme Park, Dungeon Keeper, Syndicate and more. Though not every one of their se­ries was a hit, you could al­ways count on Bullfrog to come out with in­ter­est­ing ti­tles and Bullfrog helped de­fine strat­e­gy and sim­u­la­tion ideas in the in­dus­try. Fans of Bullfrog Productions will still speak fond­ly of the de­vel­op­ment house de­spite their un­cer­e­mo­ni­ous slay­ing by EA in 2001. I am here to­day to talk about one of their fran­chis­es that I was lucky to get into as a teen and helped de­fine tastes and ideas of mine to this day. Syndicate with its themes of cor­po­rate es­pi­onage, and con­spir­a­cies of con­trol set against a cy­ber punk dystopi­an fu­ture wears its in­spi­ra­tions on its sleeve while pro­vid­ing ev­i­dence that term “ma­ture game” does not have to just mean scant­i­ly clad peo­ple or canned ro­man­tic di­a­log trees. 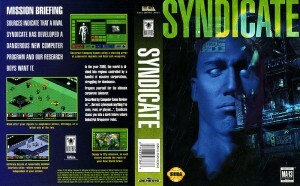 Syndicate was re­leased in 1993 for DOS and Amiga, and was port­ed to many oth­er sys­tems in­clud­ing Mac, and Atari Jaguar with wa­tered down ports even reach­ing Sega Genesis and SNES. Produced by Peter Molyneux and de­signed by Sean Cooper who had worked on Magic Carpet and Populous, and with tracks com­posed by Russell Shaw, Syndicate def­i­nite­ly had a cer­tain pedi­gree that it lived up to in my opin­ion.Syndicate, and it’s fol­low up Syndicate Wars, is a great mix of top down iso­met­ric squad ac­tion dur­ing mis­sions, in­ter­wo­ven with strate­gic el­e­ments. Putting you in con­trol of a mega cor­po­ra­tion, Syndicate al­lows you to re­search and choose up­grade op­tions for your four agent squad while di­rect­ing your teched out goons in vary­ing mis­sions around the world. Choosing op­ti­mal weapon load outs for mis­sions and keep­ing on top of the lat­est avail­able cy­ber­net­ic en­hance­ments was para­mount in your mis­sion for noth­ing more than cold cor­po­rate dom­i­na­tion of the globe. I was first in­tro­duced to Syndicate at a friend’s house as a young lad when he rent­ed the Sega Genesis ver­sion for the week­end. What teen that just watched Blade Runner could re­sist box art like that? Having bliss­ful ig­no­rance that it was an in­fe­ri­or port for con­soles, we spent near the en­tire week­end im­mersed in the game’s blend of ac­tion and strat­e­gy. Thankfully I had got­ten my first PC not long af­ter this time and was able to ex­pe­ri­ence the DOS ver­sion in all its glo­ry, though I still look back on that con­sole ver­sion with a cer­tain amount of fond­ness for what it was. 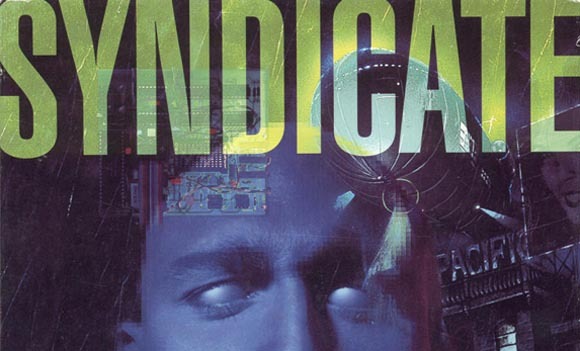 You can find Syndicate at GOG.com which in­cludes the ex­pan­sion pack American Revolt, and still holds up as an en­joy­able game. Just make sure to read the man­u­al, where you will find most of the sto­ry el­e­ments. It is a fair­ly deep and rich set­ting for the time that I do not want to spoil you on any far­ther! Just go check it out now at GOG.com. Syndicate and its ex­pan­sion en­joyed fair­ly good suc­cess, so in 1996 the in­evitable se­quel ti­tled Syndicate Wars was re­leased on the DOS world. A year lat­er in 1997 it was hon­ored by great Playstation 1 port that took ad­van­tage of the four con­troller Multitap ac­ces­so­ry al­low­ing my cir­cle of drunk­en friends to en­joy dozens of hours of glee­ful de­struc­tion as we plot­ted the glo­ry of our cor­po­ra­tion. As a sin­gle play­er game on PC and PlayStation it was a fun ex­pe­ri­ence, but re­al­ly shined when played as mul­ti­play­er co‐op may­hem with close friends. Syndicate Wars was de­signed by Mike Diskett this time around, who worked at Bullfrog as a pro­gram­mer on the first Syndicate and its ex­pan­sion as well as QA on Magic Carpet. With Glenn Corpes on the team, who was a long time Bullfrog alum­ni with a his­to­ry of work on Populous, PowerMonger and Magic Carpet se­ries, and with an­oth­er fan­tas­tic sound­track by Russell Shaw, Syndicate was aim­ing to be a well‐executed game and it did not dis­ap­point in my eyes. Syndicate Wars kept the top down iso­met­ric squad ac­tion of the orig­i­nal, this time opt­ing for a 3d en­gine based on a mod­i­fied ver­sion of the Magic Carpet en­gine and fea­tur­ing ful­ly de­struc­tible en­vi­ron­ments. The new en­gine also al­lowed a rotating/tilting cam­era, and the sto­ry side of the game was en­riched with more fla­vor (as well as not need­ing the man­u­al to fol­low along with) and giv­en more depth with the ad­di­tion two playable fac­tions in­stead of just one. The themes of cor­po­rate con­spir­a­cy were amped up, and the sto­ry of the two fac­tions in­ter­play is a rich cau­tion­ary tale. I will not spoil these sto­ry el­e­ments ei­ther, be­cause it re­al­ly should be played and ex­pe­ri­enced to ful­ly ap­pre­ci­ate. 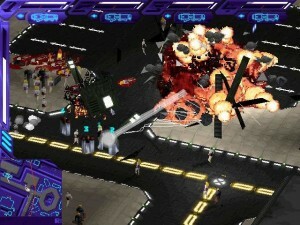 You can also find Syndicate Wars over at GOG.com, and even get it in a pack with the first game. Go get it! Things were qui­et on the Syndicate front for over a decade af­ter Syndicate Wars as Bullfrog was en­joy­ing suc­cess from the ac­claimed Dungeon Keeper se­ries, as well as putting out more ti­tles in the Theme sim­u­la­tion se­ries un­til the icon­ic de­vel­op­ment house was dis­man­tled by EA in 2001. EA; who, as they are wont to do, ig­nored the fran­chise for years un­til they de­cid­ed to dust off the IP for a re­boot in 2012. I won’t hide my bias here, I loathed this game and felt be­trayed by its ex­is­tence. Originally en­vi­sioned as a strat­e­gy based re­boot, EA made the choice to take it into the FPS realm. The rep­u­ta­tion of the project would nev­er re­cov­er for me, nor oth­er con­sumers if you look at the dis­mal sales num­bers. All seen and heard, the 2012 Syndicate re­boot was a com­pe­tent FPS. Not en­tire­ly ugly, and with a cast of de­cent voice act­ing and “hack­ing” skills that do vary up game­play from the stan­dard shoot shoot bang bang. Extreme bloom, and lens flare use JJ Abrams would be proud of aside it had a cer­tain at­mos­phere that tried so very hard to be Deus Ex that it could be en­joyed at times. The mul­ti­play­er was more rem­i­nis­cent of the orig­i­nal se­ries, but was still bland to me and not worth the price of en­try. The PC port was atro­cious, lack­ing in graph­ics cus­tomiza­tion and be­ing bug­gy on re­lease. It re­ceived rel­a­tive­ly pos­i­tive re­view scores from crit­ics, though was panned by the con­sumers. Just like that, EA games killed my beloved fran­chise as mad­den­ing­ly as they did the orig­i­nal de­vel­op­ment house that birthed Syndicate and oth­er ac­claimed fran­chis­es into the world. Speaking with Computer and Video Games Frank Gibeau, an EA exec, said “Syndicate  was some­thing that we took a risk on. It didn’t pay off — it didn’t work.”. The de­vel­op­ment stu­dio that made the re­boot, Starbreeze Studios, stat­ed in 2014 that only an es­ti­mat­ed 150,000 units shipped world­wide. In my hum­ble opin­ion, it was the change of genre into an FPS that was the dis­as­ter of the game. In a clas­sic les­son the in­dus­try is learn­ing, in try­ing to mod­i­fy a fran­chise too ex­treme­ly to ap­peal to a new au­di­ence, EA man­aged to alien­ate the orig­i­nal fans of the se­ries while not mak­ing a com­pelling enough game to en­gage new­com­ers. Killing all hype and hope by not hav­ing the fans ap­proval, com­bined with EA as­sum­ing an FPS would al­ways be more ap­peal­ing than any­thing strat­e­gy re­lat­ed is a mis­take they have made be­fore. They turned a rich and deep uni­verse into an­oth­er for­get­table 6 – 8 hour shoot‐fest. All in all it was a very ser­vice­able shoot­er, es­pe­cial­ly when tak­ing into con­sid­er­a­tion the bud­get con­straints of the dev team. It just wasn’t Syndicate. EA is a sad sto­ry though, and I pre­fer to fo­cus on the pos­i­tives. All is not lost for the spir­it of the Syndicate fran­chise, as peo­ple pas­sion­ate in their ideas will nev­er lie down. Now I don’t per­son­al­ly sup­port ear­ly ac­cess games (ex­cept on rare oc­ca­sions), so I will not pro­mote pur­chas­ing an un­fin­ished prod­uct. 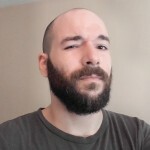 I DO high­ly pro­mote go­ing and check­ing out their web­site, videos of their de­vel­op­ment process on their Youtube chan­nel, and their Early Access Steam page. I have high hopes for this game from see­ing the back­ground of the de­vel­op­ers and the love they have for this project. 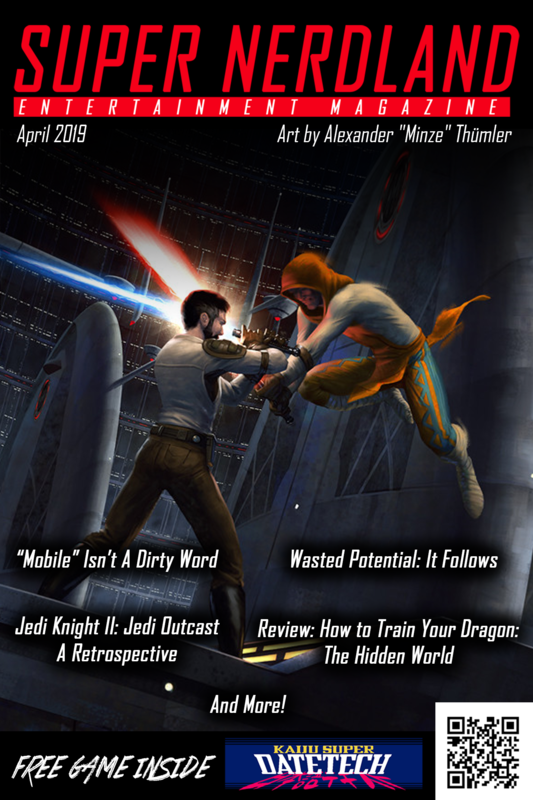 If you are a fan at all of the orig­i­nal Syndicate and Syndicate Wars, Blade Runner, or games with cy­ber­punk and cor­po­rate es­pi­onage themes then I sug­gest check­ing them out!In 2013 Mike Diskett, lead de­sign­er of the orig­i­nal Syndicate Wars, along with oth­er in­dus­try pro­fes­sion­als teamed up to form 5 Lives Studios. 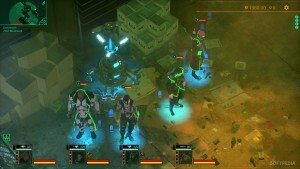 Their first for­ay into de­vel­op­ment is a game ti­tled Satellite Reign, a play on words of the name of a high pow­ered or­bital strike de­ploy­able in Syndicate Wars of which the project aims to be the spir­i­tu­al suc­ces­sor to. Through a high­ly suc­cess­ful Kickstarter, and their in­dus­try ex­pe­ri­ence, they were able to stream­line an amaz­ing work­flow and will have a playable ver­sion out as ear­ly as December 11th 2014 when it will be on Steam Early Access. Who knows, de­pend­ing on how the ear­ly ac­cess looks, I may be back here with im­pres­sions on it. Thanks for read­ing my lit­tle tale, stay ex­cel­lent to each oth­er out there!